Obviously the first thing to say is that hybrids aren’t a panacea. The wisdom of buying one depends entirely on what kind of motoring you do. Drive on hilly roads or in stop-start traffic and you’ll get great results from a Prius. Slog up and down the motorway and you won’t. So you actually need to think about the kind of motoring you’ll be doing before choosing between a diesel or a hybrid, a mental exercise that Clean Green Cars doesn’t seem to have bothered with. And never mind the air-quality issues of soot particulates and oxides of nitrogen that diesels typically cough out. The report is also a little surprising in that it seems to suggest that CO2 output is directly proportional to fuel consumption, irrespective of the fuel used. Which, of course, it’s not. Use a gallon of diesel in an engine and you’ll release about 12kg of CO2, but use a gallon of petrol and you’ll liberate about 10.8kg of CO2 – or about 10 percent less. And on top of that, a gallon of diesel has a worse carbon footprint than a gallon of petrol - it takes more energy to extract, refine and distribute diesel, apparently. 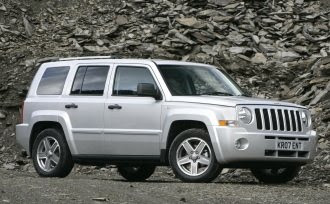 So if a Prius scores 40mpg, a Jeep Patriot would have to achieve better than 44mpg to beat it in CO2 emissions, without even considering the carbon trail hidden behind the fuel pump. Applying this scrap of knowledge to the Clean Green Cars data, we can see that of the pairs above, only the Ford Focus actually bettered its hybrid equivalent in CO2 emissions. To this we should add the fact that the Honda is actually a really nice car to drive, whereas uber-economical diesels tend to be about as pleasant to pilot as a dumper truck.